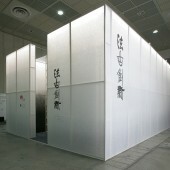 The exhibition booth was constructed to remind a scene of nature as Onn desired. Walking along inside of the exhibition space reminds taking a walk on foggy lakeside in the morning. This extraordinary scene of nature let people feel like inside of the epic oriental drawing. The booth, for hand-crafted furniture and products brand Onn, comprised a room with walls made from traditional paper Hanji, stained to create looking natural gradient. Dark to light, handmade papers and gravels to create the appearance of a misty landscape. 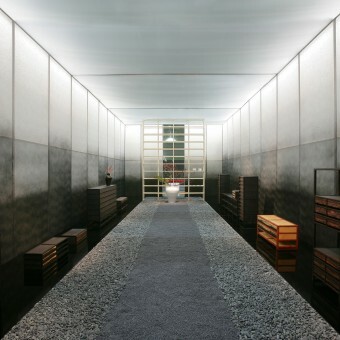 Narrow openings at each end allowing visitors to walk though the space over a gravel pathway that spanned the interior. Furniture was positioned at the edges over a dark mirrored surface reminiscent of water. Constructing methods had highly considered because there were only 24hrs for building an exhibition space. Assembling prepared 6 x 15m frames for flooring and 70 each 1180 x 300 x 2000 sizes modules for wall on the field. Display wall is also manufactured as 3000 x 400 x 3000 sizes and put prepared hanji for reducing time for manufacturing. Put T5 lights inside 300mm thick walls and shown off textures and depth of gradated muk. Considered the way of using materials to build a traditional space with some normal materials, such as woods, gravels, mirrors and fabrics. Stands wall frame as 4m heights and put dark to light hanji gradated by muk which is traditional paper and ink of Jeonju (Jeonju is one of a province of Korea and also where the brand 'Onn' from). Tried enough experiments of balancing the level of Muk on hanji because spreading Muk on hanji was the most important point of the space. It spreads looking natural after several experiences on various textures of hanji and find through thin and tough mulberry and hemp for the best result. This project was started by various sketches and effected by 3D works then materials and the way of expressions have considered. 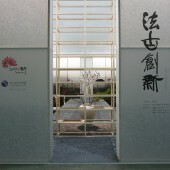 We chose two of hanjis considered among the variety of them such as major materials, textures and thickness. Tried a lot of experiences to balance the depth and the textures by spreading muk on hanji and considered a sizes of gravels as traffic lines for exhibitors based on the experiments. The hardest part of this project was showing off traditions of Korea through the space. There were lots of trials and errors for operating muk on hanji as certainly and needed a space for spreading muk through 4-meters long papers. We considered the thickness of papers and the textures among the variety of hanjis then finally can find a suitable one for the space. 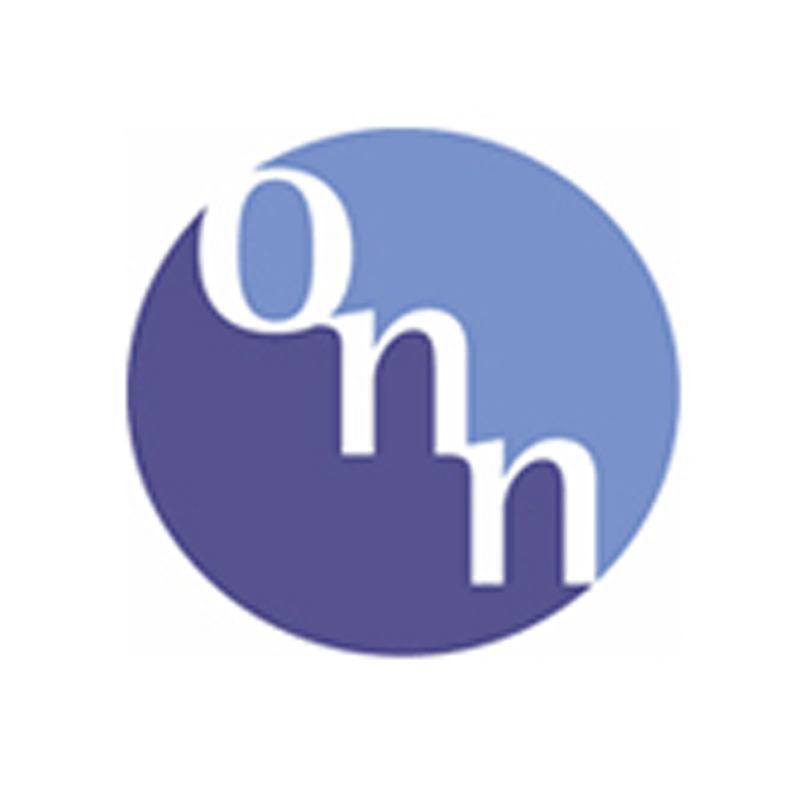 Onn is a premium-handcrafted products which are well blended traditions with modern designs by cultural asset masters. 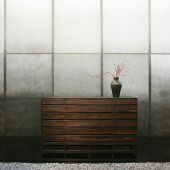 Materials and colours, products of Onn are inspired by nature and it lights up the traditional characters well. 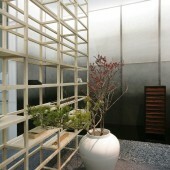 The exhibition booth was constructed to remind a scene of nature with materials, and it becomes an art piece itself harmonised with the products. Craft Trend Fair Seoul, 'onn' Exhibition Booth by Shinjae Kang, Heeyoung Choi is a Nominee in Interior Space and Exhibition Design Category. · Click here to register today inorder to be able to view the profile and other works by Shinjae Kang, Heeyoung Choi when results are announced. Craft Trend Fair Seoul, 'onn' Exhibition Booth by Shinjae Kang, Heeyoung Choi is Winner in Interior Space and Exhibition Design Category, 2013 - 2014. · Press Members: Login or Register to request an exclusive interview with Shinjae Kang, Heeyoung Choi. · Click here to register inorder to view the profile and other works by Shinjae Kang, Heeyoung Choi. Did you like Shinjae Kang, Heeyoung Choi's Interior Design? Did you like Craft Trend Fair Seoul, 'onn' Exhibition Booth? Help us create a global awareness for good interior design worldwide. Show your support for Shinjae Kang, Heeyoung Choi, the creator of great interior design by gifting them a nomination ticket so that we could promote more of their great interior designs.